As the sun sets over the Old Mill District, balloons are setup in Riverbend Park in beautiful Bend, Oregon and inflated for all to see. It’s an opportunity to be up close and personal to these balloons, and to sit back and watch the balloons light up the sky. Food, music and kids’ activities to take place. The Balloons Over Bend Redmond Night Glow is FREE to attend! As the sun sets over Redmond, balloons are set up in Sam Johnson Park in the middle of the crowd and inflated for all to see. It’s an opportunity to be up close and personal to these balloons, and to sit back and at dusk watch the balloons light up the night sky. This event will take place in conjunction with the Bacon, Brew and Balloons event. 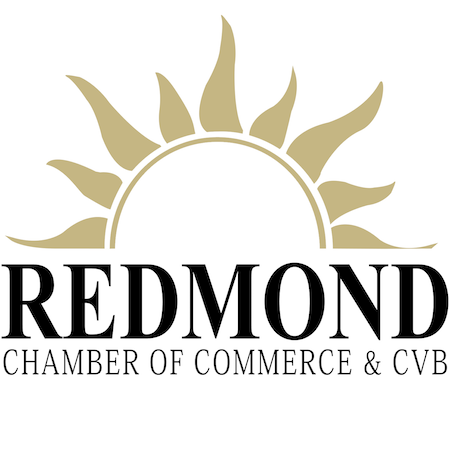 For the second year, the Redmond Chamber of Commerce’s Annual Bacon and Brew Festival is joining up with Balloons Over Bend to bring a Night Glow to Redmond! 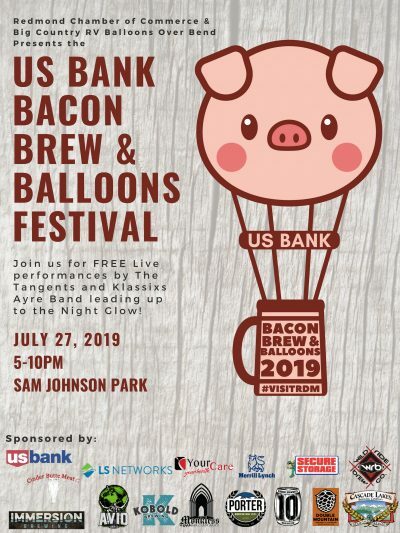 This event will feature several of Central Oregon’s favorite food trucks, breweries, live music by The Tangents and Klassixs Ayre Band, and all the bacon your heart desires! At sundown (approx. 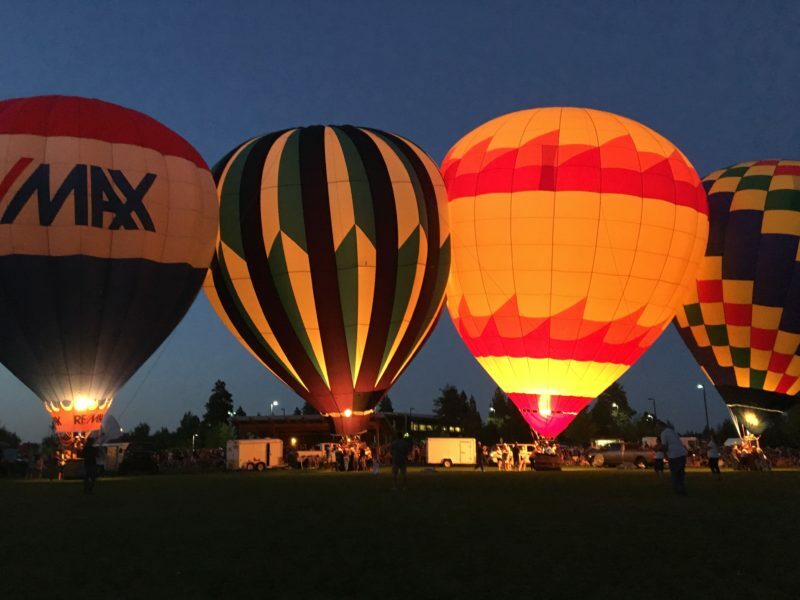 8:30pm), witness picturesque hot air balloons as they illuminate Dry Canyon for the Balloons Over Bend Redmond Night Glow. This will be an event to remember so bring the kids for a day at the park while you enjoy the festivities! Be sure to arrive early to secure your viewing spot. General Admission to the Park: Free!